ORLANDO – In the spirit of college basketball unveiling the teams that will play in their NCAA Tournament on Selection Sunday, the Orlando Magic utilized the ``survive and advance’’ tactic in an effort to stay in the NBA playoff race. The Magic were far from being at their best on Sunday against the plucky Atlanta Hawks, but they used a strong start by all-star center Nikola Vucevic, a career-best scoring night by forward Wes Iwundu and an injection of defense from newly-acquired guard Michael Carter-Williams to keep pace with the Miami Heat in the Eastern Conference playoff chase. Knowing that the rival Heat had won earlier in the day, Orlando got 13 straight points from Vucevic to open the game, a career-best 14 points from Iwundu and some gritty defense to defeat the Hawks 101-91 at Amway Center. Orlando (33-38) needed its second straight victory to stay within one game of No. 8 Miami, which defeated Charlotte 93-75 earlier in the day in South Florida. Aaron Gordon scored 22 points by hitting nine of 16 shots and three of six 3-point shots. Points, otherwise, were difficult to come by on a night when the Magic shot just 38.8 percent from the floor and made only nine of 37 3-point shots. Orlando’s defense held Atlanta (24-47) to 41.8 percent shooting and eight of 35 accuracy from the 3-point line. The Hawks missed their first 11 3-point shots of the game and their first seven tries of the second half. Orlando was aided by John Collins – Atlanta’s leading scorer all season at 19.9 points per game – being saddled with early foul trouble before fouling out with just 10 points in 20 minutes. The Hawks had scored at least 104 points in all 12 of their games since the break for the NBA All-Star Game prior to Sunday night. Iwundu drilled two 3-pointers in the first half when the Magic were going through an offensive lull and his third basket of the night was a thunderous slam of a missed 3-pointer after Atlanta had closed to within 78-72 midway through the fourth period. His 14 points topped his previous high of 12. Carter-Williams, who was signed to a 10-day contract on Friday, made his debut in Magic pinstripes and served as the team’s primary backup at point guard behind starter D.J. Augustin (11 points, nine assists and two steals). He played stellar defense throughout on Young and Atlanta reserve guard Jaylen Adams. Offensively, Carter-Williams missed all three of his shots, but he converted five of his eight free throws. He finished with five points, four rebounds, one assist and a turnover in 16 minutes. Carter-Williams said it’s key to him to make the most of this opportunity with the Magic and show that he still belongs in the NBA. 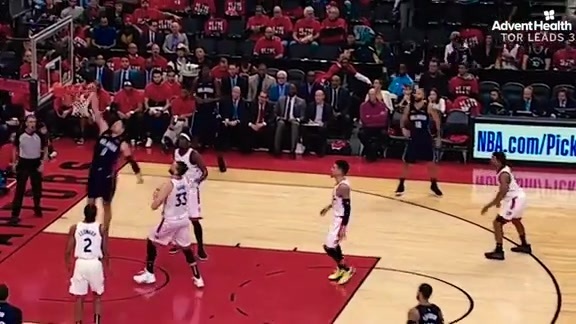 Atlanta rookie Trae Young, who was jostled around by Augustin several times during the game, scored 20 points, grabbed six rebounds and handed out five assists, but he missed all five of his 3-point shots. Daytona Beach native Vince Carter, the NBA’s oldest player at 42 years old, had eight points and two 3-pointers in nearly 27 minutes of action. Orlando improved to 3-0 this season against the Hawks. The two Southeast Division rivals play once more in the regular season – also in Orlando – on April 5. Sunday’s game was the second of Orlando’s five-game home stand at the Amway Center. The Magic beat the Cleveland Cavaliers on Thursday and then had two days to prepare for the Hawks. The Magic still have the New Orleans Pelicans (Wednesday), Memphis Grizzlies (Friday) and Philadelphia 76ers (March 25) remaining on the home stand. On Saturday night, Gordon and Isaac were named co-winners of the Rich and Helen DeVos Community Enrichment award for their many acts of kindness in giving back to those in need in the Central Florida community. Clifford lauded the pair for their work and praised the Magic and the DeVos family ownership group for their commitment to the community. Up 10 at the half, the Magic saw their advantage shrink to 75-68 by the end of the third period because of some choppy offense and poor shooting. Orlando made just six of 21 shots, missed nine of 10 3-point tries and turned the ball five times in the period. Orlando was able to cling to the lead, in part, because the Hawks missed their first seven 3-point shots of the second half. They also opened the game with 11 straight misses from beyond the arc. Orlando led 56-46 at the half thanks to a stellar start from Vucevic, more steady play from Augustin and big lifts off the bench from Terrence Ross and Wes Iwundu. Vucevic remarkably scored Orlando’s first 13 points and he had 17 of the first 19 by the 2:53 point of the first quarter. It was the most points Vucevic had ever scored in a quarter, topping the 14 he had the first quarter of a game in Minnesota back in January. He didn’t score in the second quarter, but he notched his 52nd double-double of the season by halftime with 17 points and 13 boards. Late in the night, when Vucevic sealed the victory with four of the seven free throws he drilled in the game, some of the 18,045 fans in attendance began chants of ``M-V-P! M-V-P! M-V-P!’’ Those chants meant a lot to Vucevic, who has suffered through six losing seasons in Orlando and is finally playing for a playoff spot for the first time in his Magic career.